During the financial year, 2017-18 Minority Affairs Ministry plans to award 600000 fresh scholarship to minority students in states and UTs. Out of the total number of scholarships, 30% will be reserved for girl students of each minority community in a state or UT. i) Financial assistance will be given to pursue graduate level or post graduate level technical and professional courses from a recognized institution. 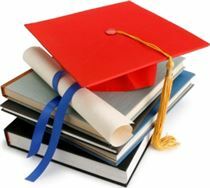 ii) Continuation of the scholarship in subsequent years will depend on successful completion of the course during the preceding year. This print out along with all requisite documents (as prescribed in the print out) will be submitted to the concerned institution. Student will get a permanent ID, which he/she will retain/keep with him/her for any father correspondence etc.